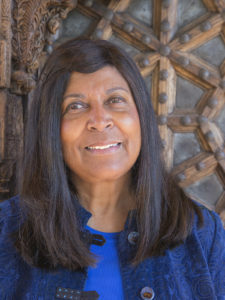 Meet Later Mom Cornelia E. Davis, MD | MotherhoodLater.com - World’s leading website, eZine and community for midlife moms. What was your road to parenthood like? My goal was to be a doctor. I knew that when I was only five years old. I took First Aid courses in Girl Scouts and was a “Candy Striper” in the hospital in High School. My parents felt travel was educational, and I was fortunate to experience Junior Year Abroad (except it was sophomore year for me because of pre-med courses) with Gonzaga in Florence. Italy was empowering and revealed a world outside the US that offered countless opportunities. As an African American woman, it was exceedingly difficult trying to get accepted into medical school in 1968. I wanted to be a doctor and see the world! I didn’t want to settle down. I thought I would “get married eventually” but the time was never right. I was offered fantastic opportunities to work in what would be ground breaking events like eradicating smallpox in India. And smallpox eradication did change my medical focus away from doing pediatrics in the U.S. to doing epidemiology (disease detection and control) in Asia and Africa. And one day you realized that your brothers and your friends were all married and you were the unconventional Auntie arriving from some country overseas bearing exotic gifts. I was enjoying life, but I recognized I was missing something too! Age is just a number, but it does impact on that biological clock. And when I realized my Work/Life balance was a little skewed, it was an awareness that came late. When you became a “later” mom, what did it feel like? When I first started looking into adoption around age 38, I started hearing terms that used to drive me crazy during medical school. Oh, this mother is having a “geriatric pregnancy” or they called a woman over 35 an “elderly primigravida”. Geriatric? I thought of someone 60 yrs. old and in a wheelchair. Surely these terms need to be outlawed and deemed sexist- because they are! Granted, some women over 35 are high risk, but there are many that have normal, healthy pregnancies and full-term births. Yet, domestic adoption agencies told me flat out that as a “older”, single Mom, I could not expect to get an infant. I should be ready to accept an older child and one with disabilities! It made me feel “belittled”, somehow unworthy of an infant, second class! And here I thought there were all these kids for adoption just needing a loving home. Frankly, it turned me off domestic adoption. 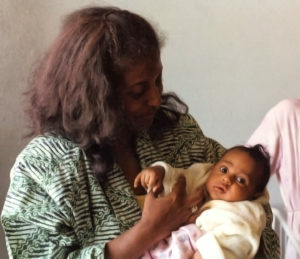 Yet, working overseas in Asia and Africa, I saw plenty of infants needing adoption, and decided to look into adoption again when I was being posted to Ethiopia with the World Health Organization in 1990. I had been mistaken for being Ethiopian a number of times in the U.S. and also overseas, so I thought to check out what the criteria for adoption was in Ethiopia. My personal concerns about having an infant as an older mom in her 40s was whether I would have the energy to take care of an infant and toddler. But in working for the United Nations (UN), I knew I could have all the help I needed to remove the normal stresses of motherhood in the States. I could afford a nanny, and household help, to relieve me of the everyday tasks that drain one after working a full eight-hour day. Financially, I could handle being a single mom overseas. But circumstances such as your parents getting older and needing you to not be halfway around the world, brought me back to the states. And then reality hit! I felt overworked, harried, poor, due to the cost of childcare, and health insurance. I was just barely scraping by. How does being a mom influence your work? When I became a mom, I was more aware and had more empathy for parents trying to juggle work and family obligations. I was acutely aware of the problems that single moms faced with finding affordable childcare. I was more understanding as a manager. Tell us about your new book and what inspired you to write it? 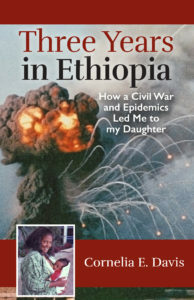 My new book- Three Years in Ethiopia, How a Civil War and Epidemics Led Me to my Daughter, recounts how I was unwittingly caught up in a civil war and why I volunteered to stay behind when the UN evacuated their staff. My intuition told me that when things start to fall apart, that was when I would find my daughter. I used to tell Romene, when she was young, bits and pieces of her adoption journey. She was 3.5 months old when I adopted her. But I thought it was important, before I forgot all the details, to write it down. Orphans are always searching for their history. So, the history that I did know needed to be told especially as it unfolded during an important phase of Ethiopian history. What advice would you offer multi-tasking, overwhelmed “later” moms? Well first, I think “later” moms have learned how to handle multi-tasking and are able to do it well. They need to seriously identify how they will be able to handle the additional stress and to build in the realistic costs of childcare and put adequate funds aside for it. When I decided to adopt, I never planned on living in the States. 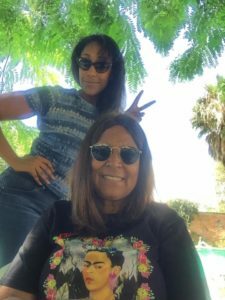 I planned on working overseas until my daughter got out of college. Life does throw some hardballs that you weren’t expecting. I needed to return to the U.S., and those three years were extremely hard on me. I started planning almost immediately for returning overseas to keep my sanity. I had not adequately factored in the real costs of being a single parent in the U.S. When my mom passed away, I no longer had any reason to remain in the States. I proposed to my organization why I would be more valuable to them based in Nairobi. They agreed, and I was off! go to just one high school and graduate from here?” It was difficult explaining that I had to go where there was work, and where they needed and wanted my skills. I passed on some better professional offers for me, and made bargains with the Devil, so Romene could complete four years of high school in Nairobi. Another factor, as I got closer to retirement, is that ageism started to play a role. When funding was reduced overseas for health programs, management started to reduce positions and look for younger and less expensive persons for my position. But of course, they would not be getting the same expertise. I needed to make myself indispensable! How do you practice self-care and de-stress? From my first years overseas in India, I searched out a masseuse in every country where I was posted, who could come to my house weekly. A massage could always de-stress me. I didn’t start to meditate and find a Buddhist sangha until retirement. Daily self-meditation is something I strive for but may not always achieve. I find guided audio meditations are best for me and you can find any number online. What are the positives and challenges of having a child at age 35 or over? I think I finally became an “adult” when I adopted Romene. There was someone you cared more for than yourself. You got to see the world once again through a child’s eyes, and there was more meaning to all the festivities that we celebrated as a family. As a “later” mom, I worried initially that I wouldn’t have the energy to keep up with an infant and toddler. In the first months with my daughter, I developed “tennis elbow” from repeatedly lifting her up and down. But that passed. I suppose I was lucky. I always looked ten years younger than I was, so I was never mistaken as being the grandmother! 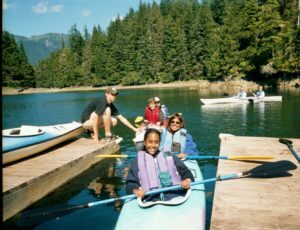 I was always interested in outdoors sports such as hiking and horse-back riding which kept me active. What I didn’t plan so well for was college education for my daughter. I focused more on the earlier aspects of life. College kind of snuck up on me, and college unfortunately, coincided with planning for retirement! So, this is just a heads up that you need to address this issue earlier than I did! Has anything about being a mom surprised you? What do you love the most, and what is the most challenging? I guess I’m surprised how happy you are when you see your child being successful in all of her pursuits. It’s very thrilling, but you must make sure she is pursuing her dreams and not yours. I suppose the challenge is knowing when to let her take risks that might fail but being there to support her when she needs you. What did you most want to teach your daughter? What have you learned from her? I wanted to teach my daughter to be strong and independent, and to go after her dreams. We have very different personalities. I am an introvert, but because of my work positions, I acted as if I was an extrovert. Romene is an extrovert, and she was always pushing me to go outside my comfort zones. What words of wisdom would you offer someone contemplating motherhood over age 35? The joys of motherhood vastly outweigh the sorrows. If my book has one take home lesson, it’s that “Risking is better than Regretting!” Do your homework and plan carefully. But go for it!